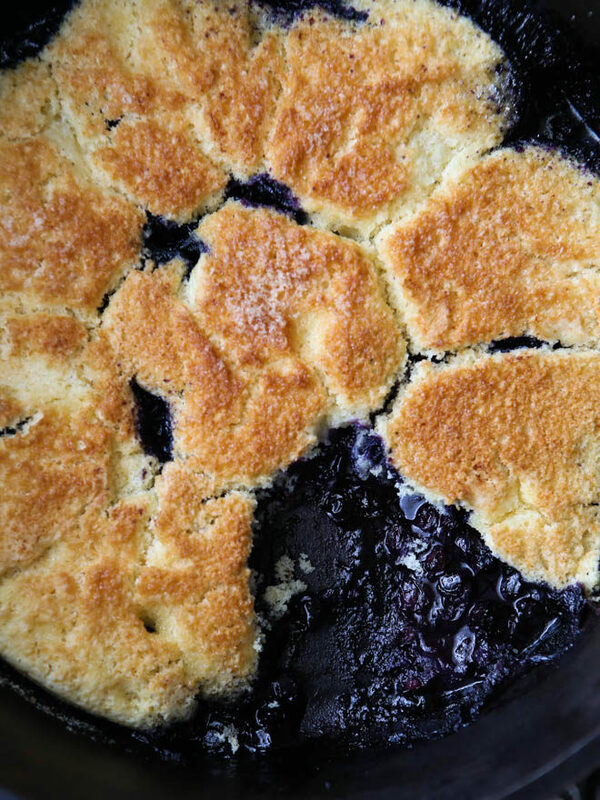 The easiest 4-ingredient summer fruit cobbler baked in a camp dutch oven. Boxed cake mix? Whipped cream in a can? These are things that I almost never use, almost never buy, and almost never even think about. But there is a time and a place for everything. And this is hands down one of the easiest desserts you will ever throw together. This cobbler requires just four ingredients— vanilla cake mix, lemon-lime soda, butter, and course, fruit! 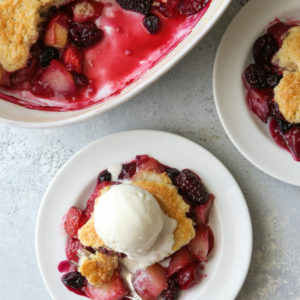 I’ve made this cobbler a hundred different ways with all kinds of fruit and you can’t go wrong. Blueberries, raspberries, peaches, cherries, strawberries, etc. Pick your favorite, what’s in season, or whatever you happen to have on hand! 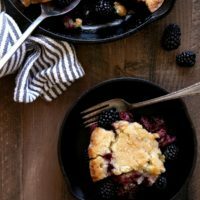 This cobbler recipe will of course work just fine in any standard baking dish in your oven, but since I’ve only made this shortcut recipe in a cast iron dutch oven when we’ve been camping, that’s what I’m going to show you today. Here in Utah we’re pretty serious about our dutch oven cooking. It’s all over the place, from camp grounds to carnivals. It’s even the “state cooking pot” of Utah (thank you Wikipedia), probably because of our rich pioneer heritage. If you don’t have a camp dutch oven or aren’t very familiar with them, I encourage you to look into getting one. They’re a lot of fun and you can cook just about anything with it. So how does a dutch oven work? Well, let me give a brief explanation for those that need it. After prepping your dish, you cover the pot with a heavy cast iron lid. It’s then placed on top of hot coals to heat from below and more coals are placed on the lid to heat from above. And voila, you have an oven! 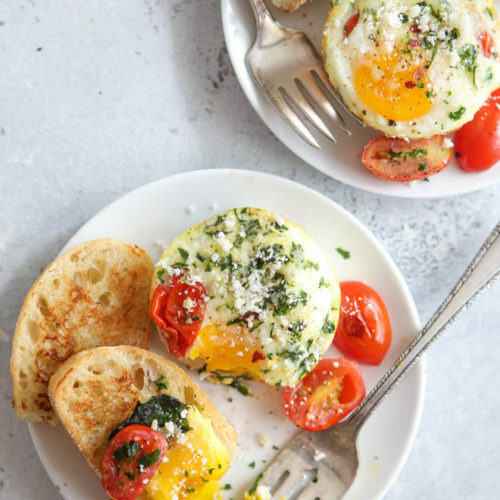 So let’s get back to this specific recipe, shall we? Like I said, it’s super easy. The fruit goes down in the bottom of the pot and the topping is made with cake mix and lemon-lime soda. As if a cake from a box isn’t simple enough, this is even lazier. But it works! And if you’re baking this away from home it’s nice to need even fewer ingredients. After spooning the dough over the fruit, a few dabs of butter and sprinkling of sugar help create a nice golden brown cobbler topping. And then it’s ready to bake! It needs only about twenty minutes in the dutch oven and when you can start smelling the fragrance of baked fruit, you know you’re about there. This is my go-to dessert while we’re camping, though feel free to make it anytime! 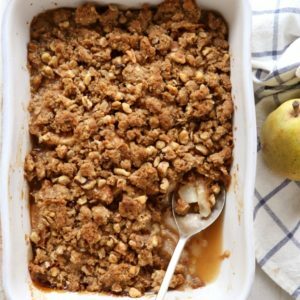 You can’t beat an easy summer dessert like this, especially when it doesn’t require turning on the oven in your kitchen! 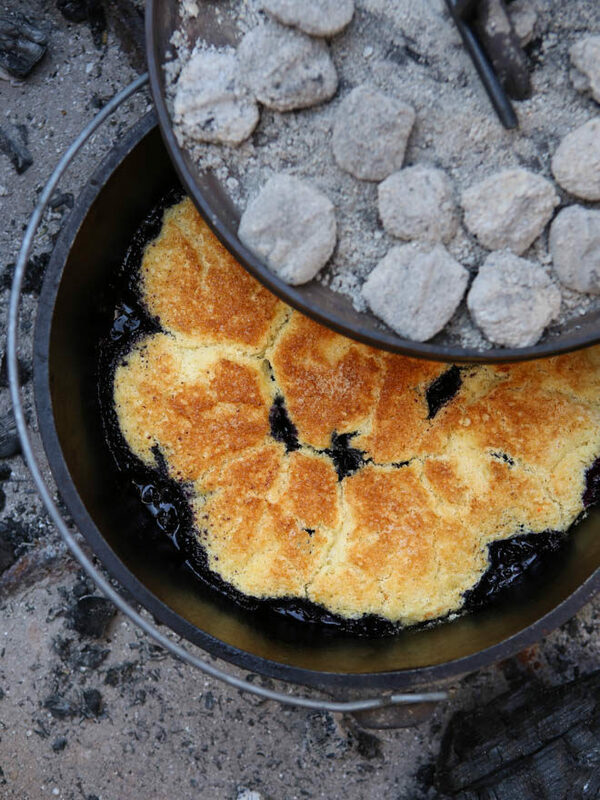 The easiest summer fruit cobbler baked in a traditional camp dutch oven over coals. A perfect dessert to enjoy while camping! 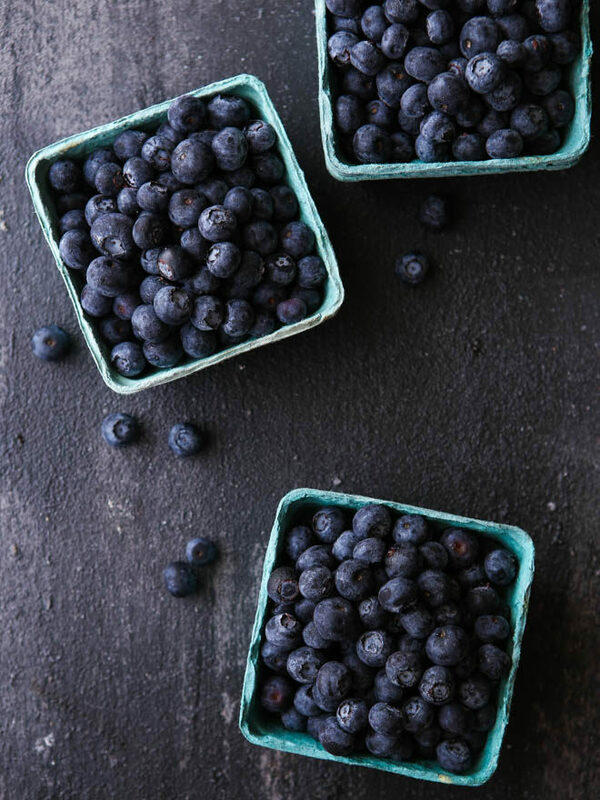 4 cups fruit such as berries, peaches, apples, etc. Preheat 45 charcoal briquettes until white and glowing. Lightly grease the bottom of a cast iron camp dutch oven with cooking spray (see Notes). In a medium bowl combine the cake mix and lemon lime soda. 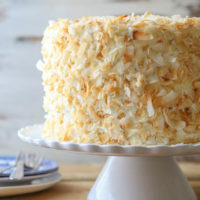 You want a batter that is thick, but moist (it does not have to be precise, I've had varying consistencies from stiffer batters to thinner cake-like batters). 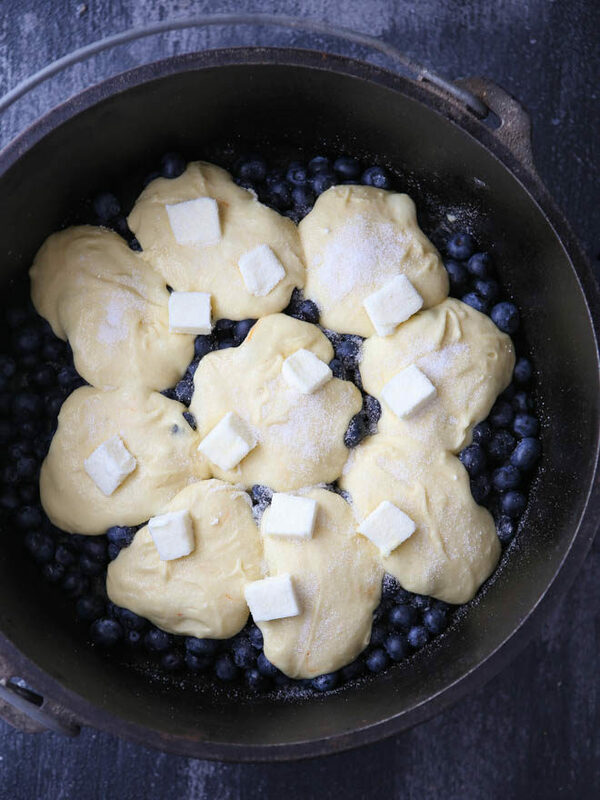 Place fruit in the cast iron dutch oven and spoon batter over top. Top with bits of butter. Sprinkle with the sugar, if using. Cover the dutch oven with its lid. Place 15 hot charcoal briquettes together and set dutch oven over them. Using tongs, place the remaining 30 briquettes on the dutch oven lid. (This exact number and placement is required to achieve 350 degrees inside the dutch oven.) 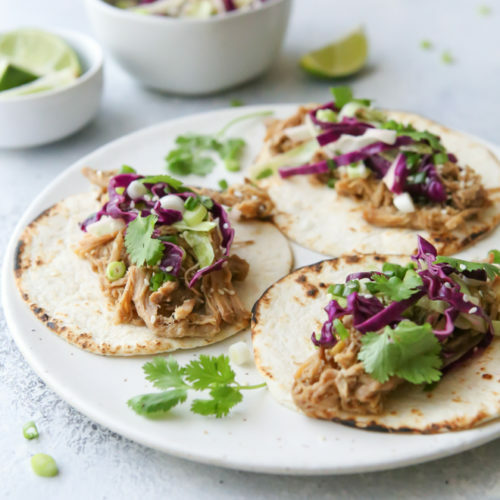 After about 10 minutes, rotate the dutch oven over the coals clockwise and the lid over the dutch oven counter clockwise to promote even cooking. Check after 20 minutes, cobbler is done with the topping is golden brown and the fruit juices are bubbling. 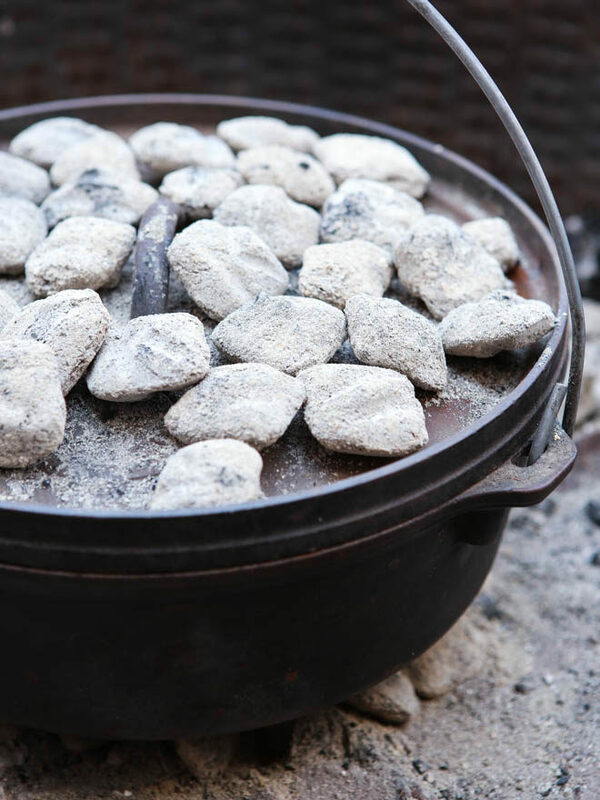 Remove dutch oven from coals. 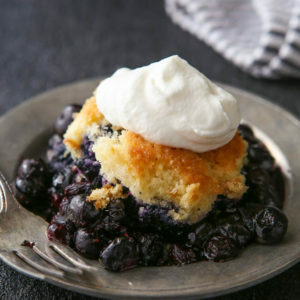 Serve the cobbler with whipped cream. If using strawberries or stone fruit such as peaches, slice into wedges or chunks. 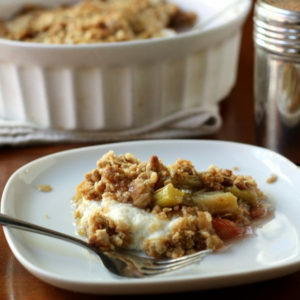 You can also bake this cobbler in the oven. Preheat oven to 350 degrees F and grease a standard baking dish with cooking spray. Bake the cobbler until golden brown and the fruit is bubbly around the edges, 20-25 minutes. New to dutch oven cooking? It's easy to find a lot of info about it online, this website is particularly friendly and helpful. 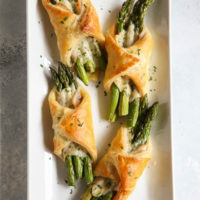 This recipe was first published July 2011. 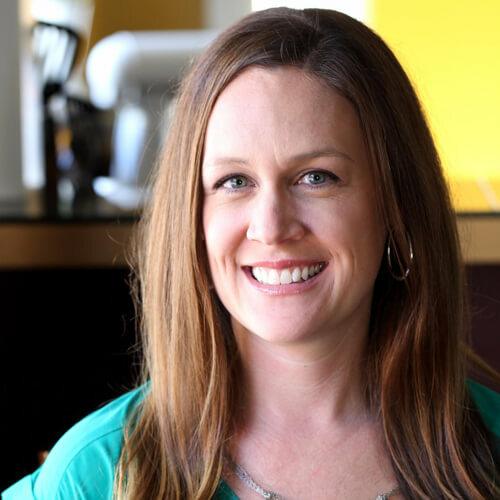 Photos have been updated. 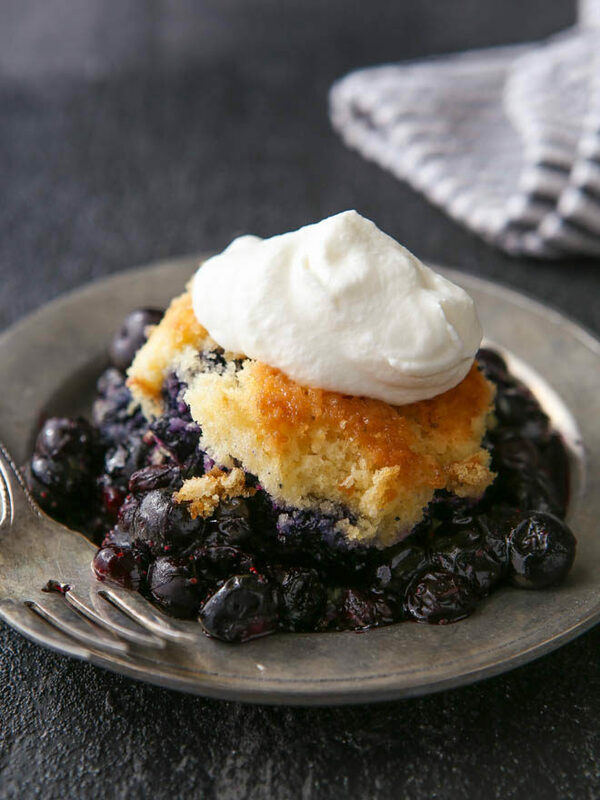 I don't really like cobbler but I love that you used a cake mix here. The cobbler part looks so light. How fun to cook outside too! That looks so delicious. When our family goes camping my brother makes dutch oven peach cobbler (with canned peaches) and it's a huge family favorite. This looks so good! It would be a perfect dessert for camping….easy and delicious! Oh my goodness! What a great idea! I can't wait to try this when we camp this summer!! I think the kids will be thoroughly impressed. i can't wait to try this. i've recently become very acquainted with the dutch oven because i've been doing a lot of campfire cooking for our group at the Renn Faire. Thanks for a wonderful site! I am going to have to try this when camping sometime. You can't have enough campfire go-tos…. I have done dutch oven cobblers many ways as I’ve been around Boy Scouts for many years, including using dry cake mix and more butter to make more of a “crumble” than a cobbler. 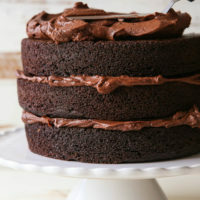 It’s pretty hard to do this wrong, as long as you don’t use too much cake mix/batter – don’t want to overwhelm the fruit! Having said that, your recipe is a good one. I also like your official Boy Scout dutch oven in the picture! I have done this several times and it has been a huge hit. Always demolished by kids and adults alike. No need to tweak this one. It is really good as is. I have doubled it and it works well then too. 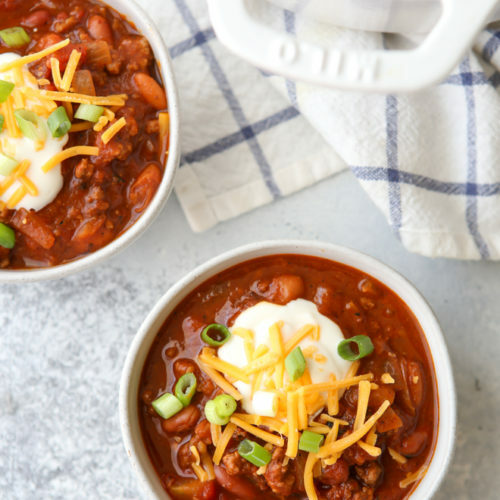 So glad to hear you like the recipe, thanks for the comment! What size dutch oven did you use? Thanks. Wow, this looks awesome! 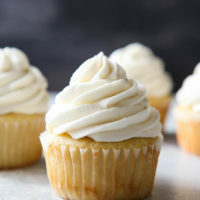 I never use boxed cake mix or whipped cream in a can either, but seeing how easy and delicious this looks makes me want to! 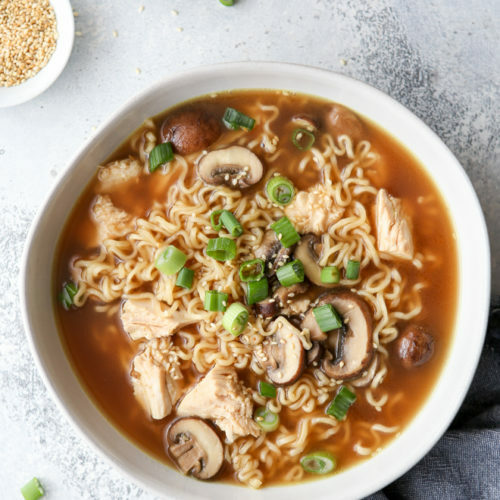 Can you make this in a Dutch oven in the oven rather than a baking dish? I did tonight but it doesn’t really brown with the lid on or off. This was awesome!! So easy! I haven’t used a cake mix in years but trader joes has a delicious vanilla mix. Used that and their frozen organic mixed berries (put in frozen). Will definitely make again. Thank you! I’m excited to try this. I have a question. How can people say “a box of cake mix” in a recipe when some cake mixes contain more ingredients than others? Like aren’t there some that already contain levelers? Don’t some need an egg and some already have things in that make it not require an egg? Hi Patricia! All cake mixes I am aware of call for an egg, liquid and fat like oil or butter. I haven’t found a cake mix that this recipe won’t work with! Hope this helps. I have a Dutch oven desert u might try …. Same concept just take pineapple roo put in bottom of D/O then put rings on top of it then take apricot halves put them in the Rings then take maraschino cherries and said inside the apricots you mix your batter took consistency to wear your your fruit starts to float your peaches in your cherries will start to float until you hit him with the batter and then they stop right there in the cake and then you bake it in the Dutch oven and it’s a screaming pineapple upside down cake thank you.